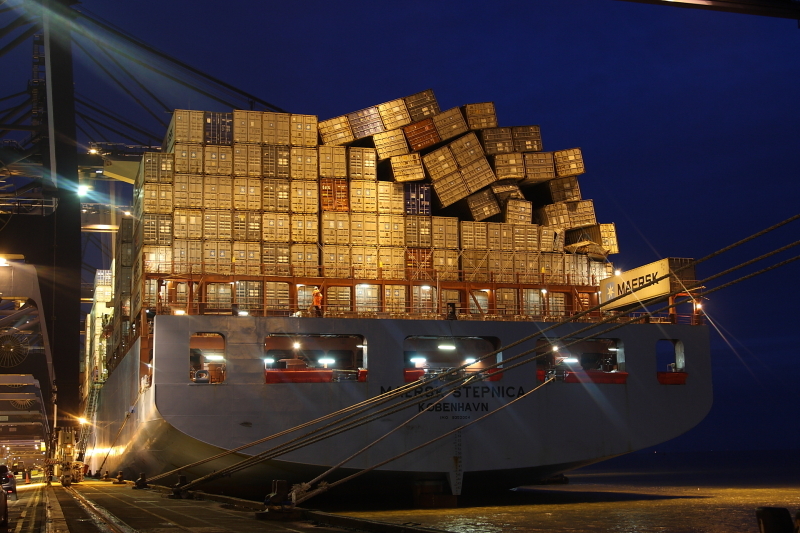 The 334 meter long, 102367 dwt container ship Maersk Stepnica suffered damage while proceeding on the Atlantic Ocean. The boxship had departed from Tanjun East on December 20, 2013 bound for Felixstowe when it encountered heavy seas with seas reaching nearly 20 meters. When the Maersk Stepnica arrived in Felixstowe, several containers aft of the bridge were lost or damaged. No reports of injuries.